Knots on Mars! « Adafruit Industries – Makers, hackers, artists, designers and engineers! Knots on Mars! (and a few thoughts on NASA’s knots). In the last few days some of the first high resolution color images of Mars Rover Curiosity’s deck have been taken. 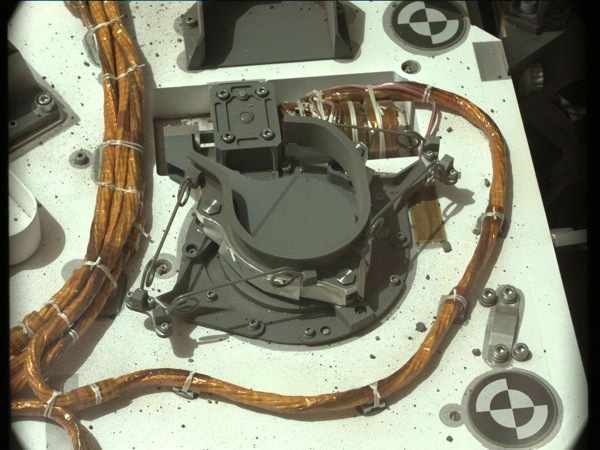 These included some of the best images yet showing the knots visible on the exposed wire and cable bundles. While a few of the folks here are no doubt aware, it might surprise most people to learn that knots tied in cords and thin ribbons have probably traveled on every interplanetary mission ever flown. If human civilization ends tomorrow, interplanetary landers, orbiters, and deep space probes will preserve evidence of both the oldest and newest of human technologies for millions of years.. Interesting that after all these years they don’t have a space-qualified zip-tie.